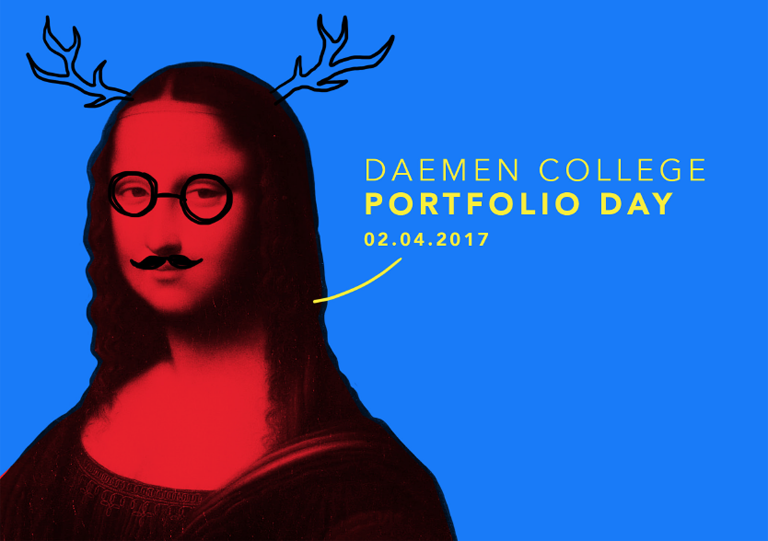 Assignment: Create an integrated campaign for Daemen College All High and Portfolio Day Events geared towards high school students. 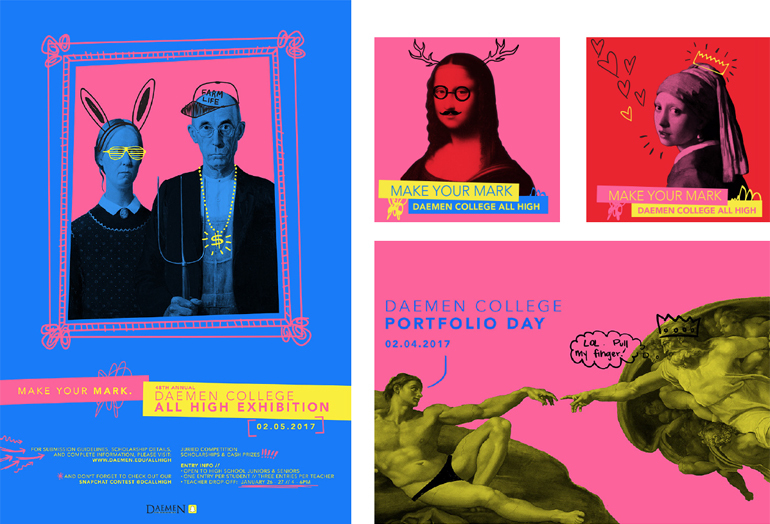 This campaign created by design team Angela Marini, Violet Lent, Emily Metzker, and Matt Tanner includes: posters, postcards, stickers, a Snapchat contest, and animated GIFs. 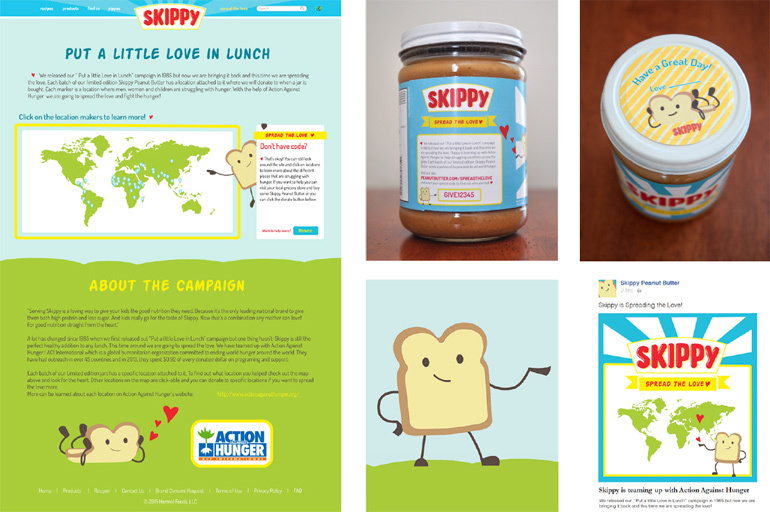 Assignment: Re-imagine an old, successful ad campaign, and make it more contemporary for a digital audience.Inspired by Skippy’s 1985 “Put a Little Love in Lunch” campaign, students Jordan Quinones and Chelsea Turton created the “Spread the Love” campaign concept in which Skippy teams up with Action Hunger to help fight hunger world wide. Components: website, packaging, character design, and social media ads. Assignment: Create a public awareness campaign for a social issue of your choice. This is a literacy awareness campaign targeted towards children and their parents. This is a literacy awareness campaign targeted towards children and their parents created by students Angela Marini and Emily Metzker. 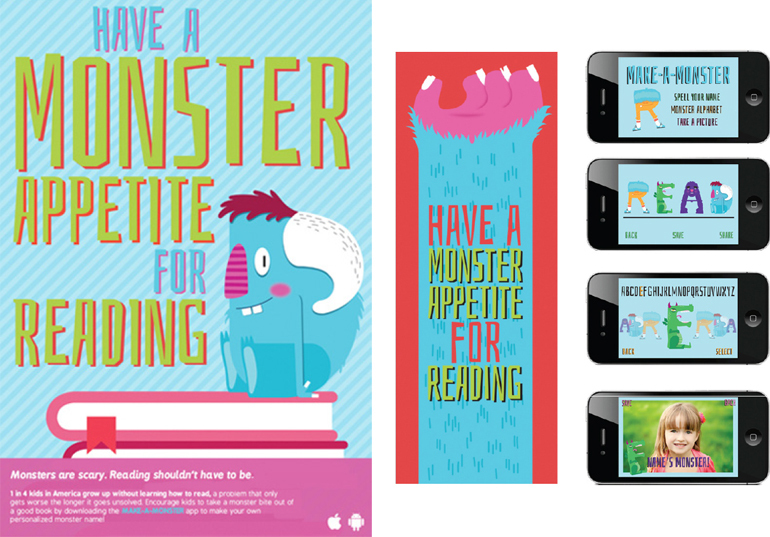 They created an alphabet of cartoon monsters and integrated the characters into posters, a bookmark, and an interactive App concept to show kids reading isn’t scary. Assignment: Create a public awareness campaign for a social issue of your choice. 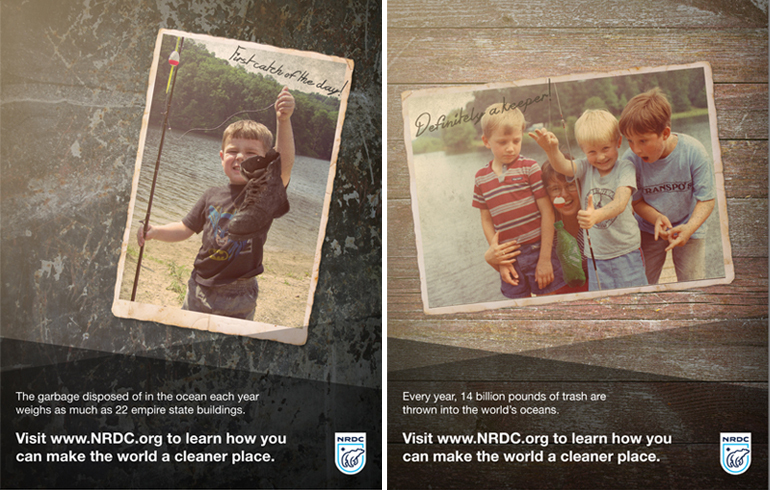 This is a water pollution awareness campaign created by Matt Tanner and AJ Smith targeted towards adults. The campaign included four full-page magazine ads. Assignment: Create an integrated advertising campaign for your assigned fruit or vegetable that is targeted towards college students. This campaign for pineapple included three full-page magazine ads, a billboard, and Facebook page. Assignment: Create an integrated advertising campaign for your assigned fruit or vegetable that is targeted towards college students. 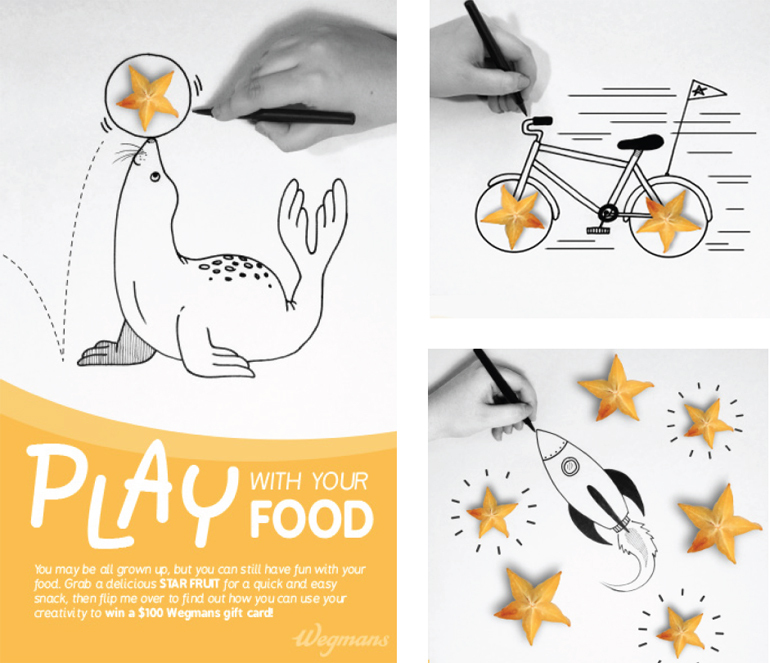 This campaign for star fruit included store display ads, Instagram posts, and Vine videos. 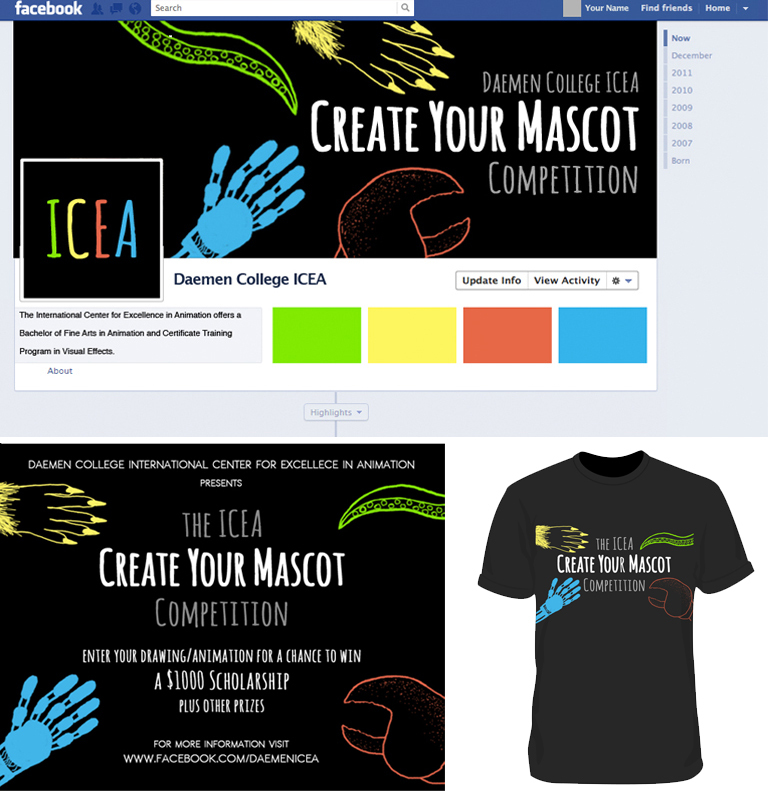 Assignment: Create a social media campaign and relevant promotional merchandise for the ICEA (International Center for Excellence in Animation) at Daemen College to recruit students to the Animation BFA program. 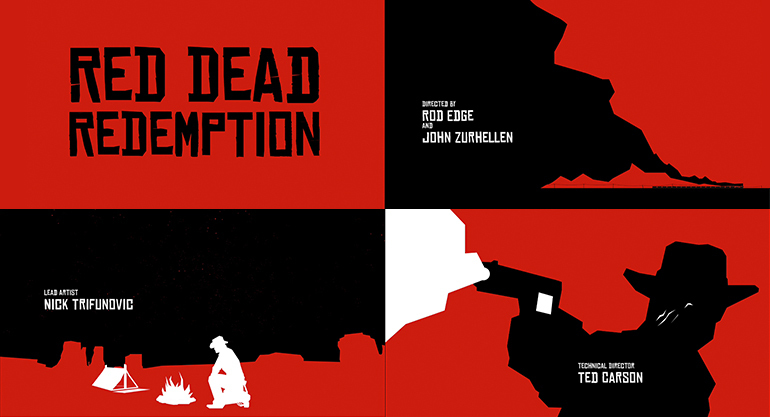 Assignment: Final Project, design a title sequence for an existing movie or video game. 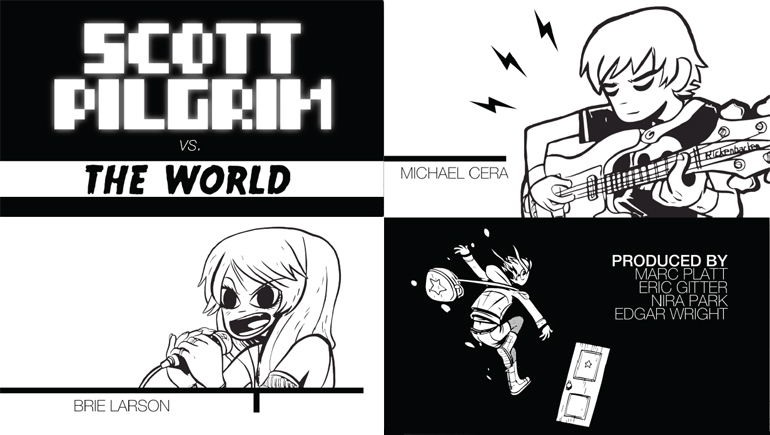 These are four screenshots from the project. Click the image or here to view the project. 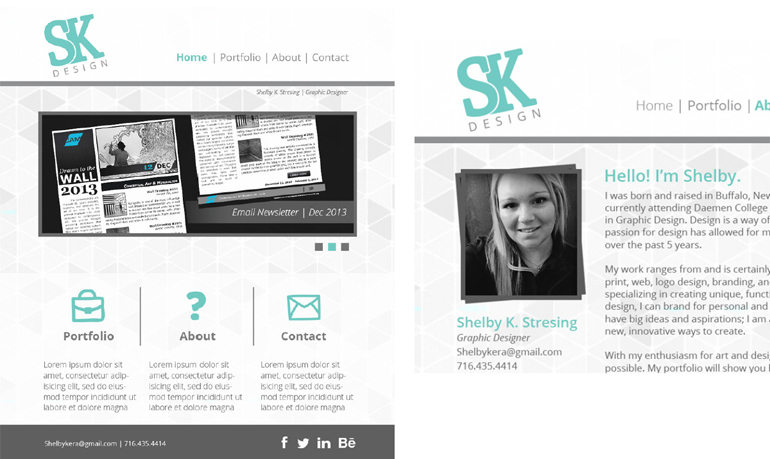 Assignment: Design and code a portfolio website. Assignment: Design a brand identity for a restaurant. This can be a redesign of an existing restaurant or a fictitious restaurant. 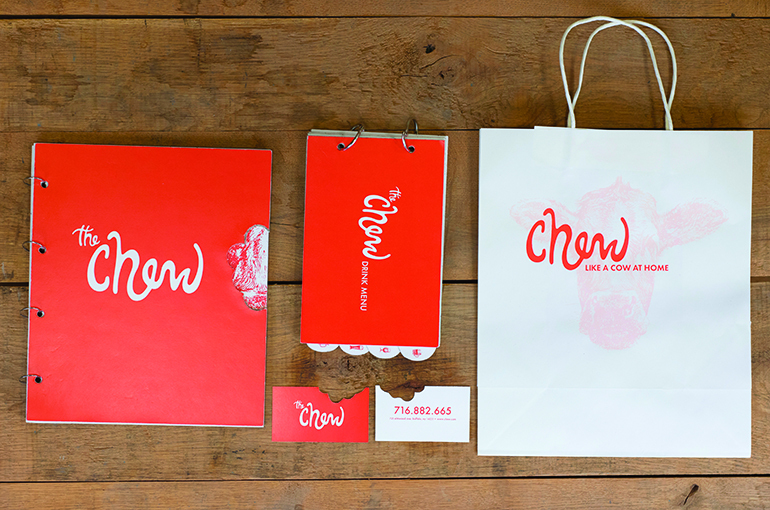 This restaurant identity design was created for The Chew, a fictitious grub pub located in the Elmwood Village neighborhood in Buffalo. The target audience is the millennial generation and young professionals. 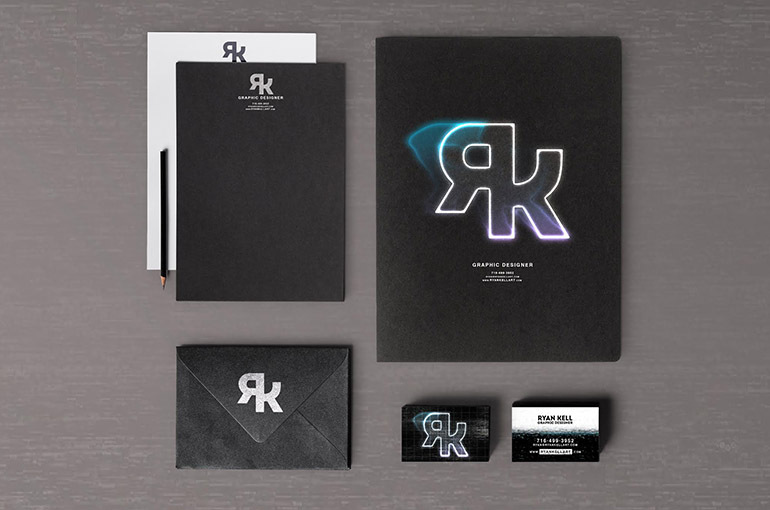 Components included: logo, food menu, drink menu, business cards, and packaging. 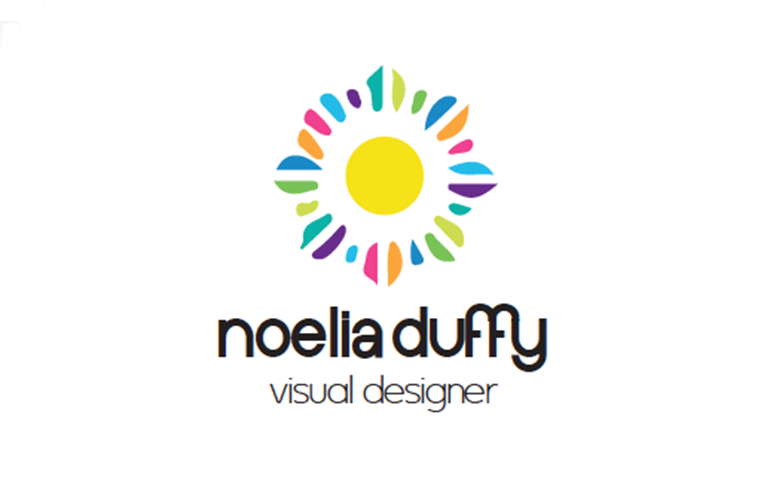 Assignment: Design a personal brand identity. This mock-up was for a identity design project includes: a logo, letterhead, and business cards. Assignment: Design a personal brand identity. This logo design was inspired by the student’s Peruvian heritage. Assignment: Create three versions of an app icon in Illustrator for an app from your imagination that you would like to see on the market. This App’s purpose was to identify trees. The student liaison on the board of AAF Buffalo designed the creative for the Portfolio Seminar event under my guidance. 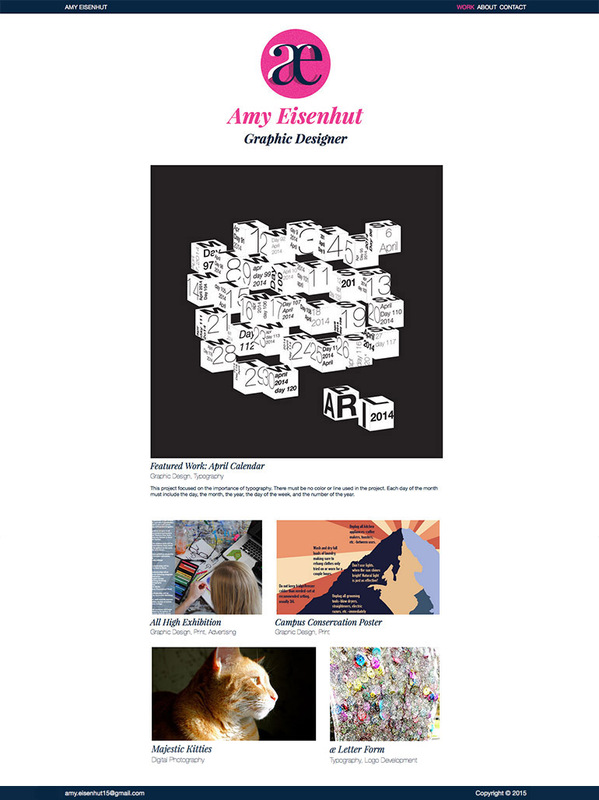 The creative was formatted for the AAF Buffalo website, email, Instagram, and Facebook page. This was not for a course, but is an example of my professional mentorship of a student outside of class. 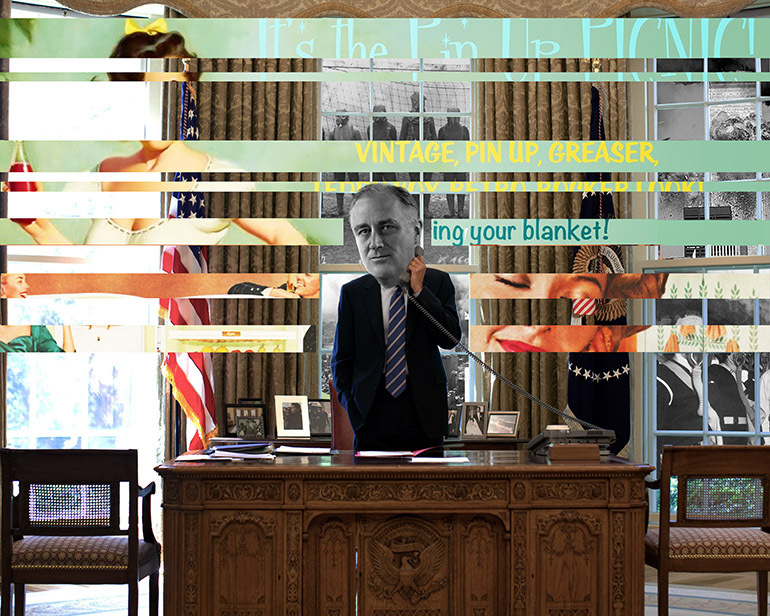 Assignment: Create a surrealistic photomontage in Photoshop that is conceptually and visually united. Your composition needs to have a specific focal point, and demonstrate graphic design principles of harmony, grouping, placement, alignment, and flow to create a unified whole. 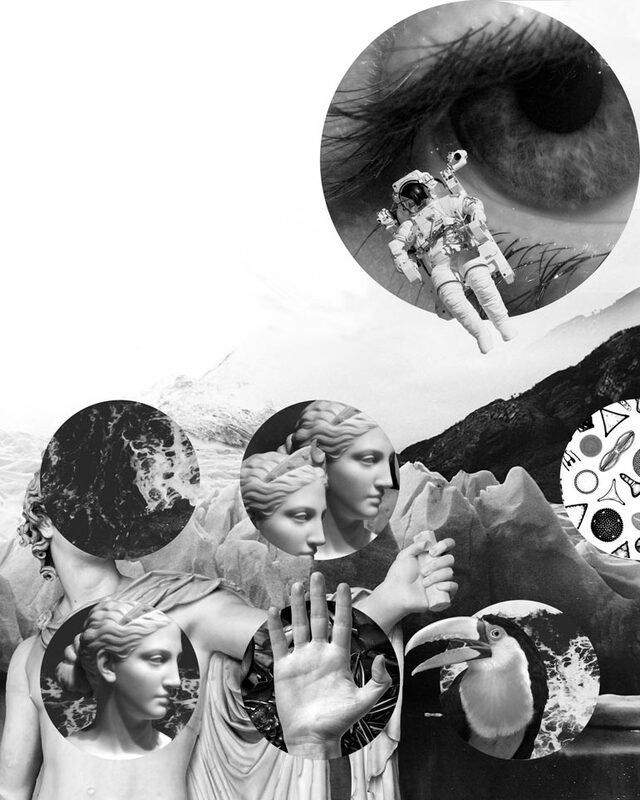 Assignment: Create a surrealistic photomontage in Photoshop that is conceptually and visually united. Your composition needs to have a specific focal point, and demonstrate graphic design principles of harmony, repetition grouping, placement, alignment, and flow to create a unified whole. 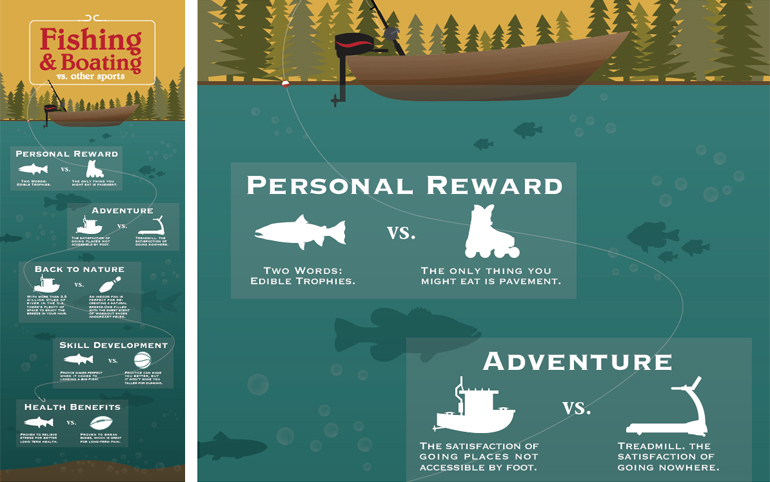 Assignment: Create an infographic. This infographic was designed by the student for print and web. 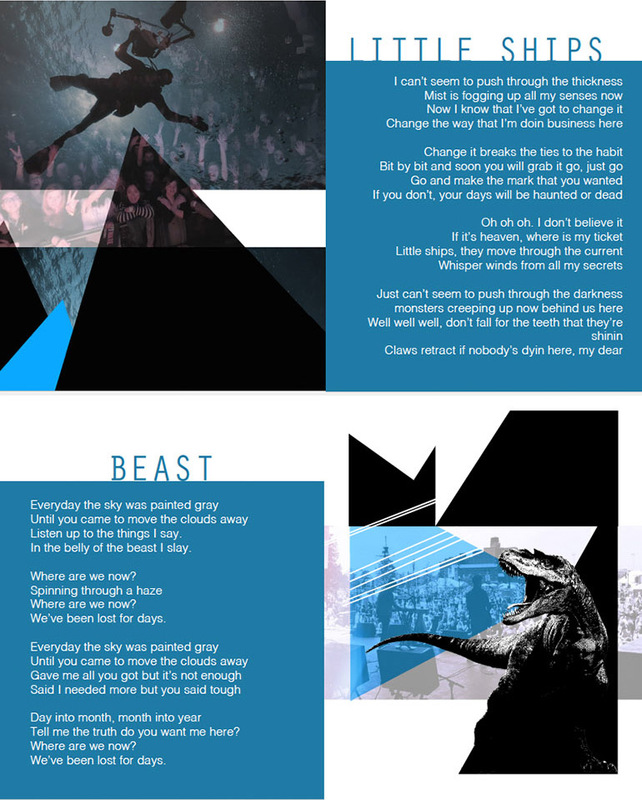 Assignment: Final Project, Create a zine using InDesign and Photoshop and/or Illustrator. Your zine needs to demonstrate graphic design principles of harmony, repetition, emphasis, grouping, placement, alignment, and flow to create a unified whole.